Generate excitement around your highest margin products or services with interesting custom made window graphics! When your business is offering your latest items, you need to offer privacy for your consumers within your facilities, or merely wish to inform your prospective buyers about what your business has to offer, cohesive vinyl signs and graphics get your brand noticed and remembered. 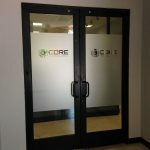 Carolina Custom Signs & Graphics is your trusted community vinyl window sign provider, delivering appealing window graphics, signs, clings, and decals that keep you top of mind. 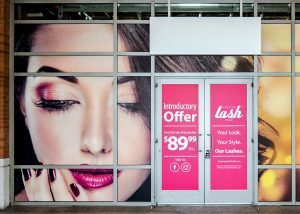 Carolina Custom Signs & Graphics provides eye-catching and informative window graphics, lettering, and full displays for improving brand awareness. 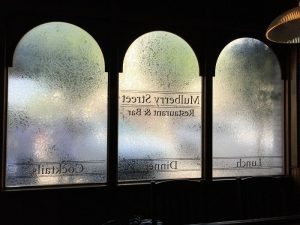 Our experienced vinyl window sign designers assist you by producing high-quality window graphics that are in-line with your business goals, are complementary to your current branding efforts, and get your unique message out to your clients. Our window signs experts develop the perfect signs and graphics you need to support your business marketing goals. We listen and learn about your brand and business to make educated suggestions for custom signage products that you are proud to display. 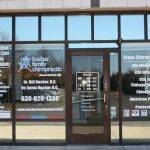 Our team is excited about the opportunity to support your business goals with attractive window graphics, signs, banners, lettering, wraps, and more. It’s clear to see that retailers spend a lot of time and effort on designing their promotional window displays. It’s no secret retailers have a lot of time, energy, and effort invested in their high-visibility window displays. An eye-catching window display is devised to attract intrigued future consumers inside your business. Should you be having a special sale, event, or promotion, or want to improve sales of a new, high-ticket item, engaging window displays are an excellent way to do this. Normally, window displays are changed seasonally to exhibit the newest, hottest items you can provide. Carolina Custom Signs & Graphics is excited to offer irresistible window signs, graphics, and displays to boost interest in your special events and sales and intriguing products in an engaging way that will generate more people. Office buildings, similar to service professionals, real estate agents, insurance brokers, law firms, counselors and therapists, and more, take advantage of high-quality vinyl window film on their exterior windows for promotion, branding, or privacy purposes. Our dedicated staff of professionals provide privacy film that gives the same look as a frosted or etched glass window, minus the expense and hassle of replacing entire glass panels. Quite a lot of professionals decide to have the logo and branding elements, company name, and other custom images or messaging integrated in their vinyl privacy film for brand identification. 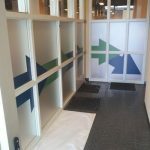 Our dedicated sign and graphics experts can manufacture customized privacy film crafted for your company and customers, or present good examples of commonly selected vinyl film alternatives that will work well for your brand, business, and location. You don’t have to have a retail business or sell physical products to improve their business visibility with an attractive custom window display! 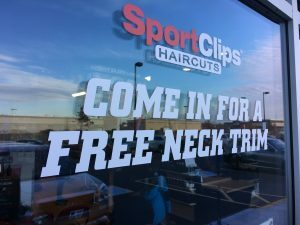 Let people know what you have to offer with custom graphics, murals, posters, banners, or lettering exhibiting your most beneficial solutions, seasonal promotions, or even integrate a custom window display that represents exactly how your company can support your most desired customers. 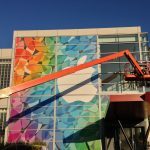 Our skilled graphics and signs consultants take your unique needs into consideration to build the optimal display that you expect. We handle fabrication as well as professional installation of your branded business window signs and graphics. 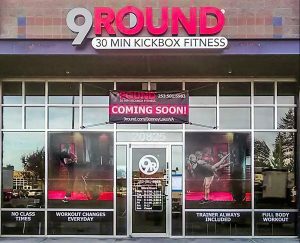 Your neighborhood graphics and signs supplier, we provide the window displays, signs, lettering, banners, posters, or graphics you need to improve your brand and business visibility and increase new client generation. Call Carolina Custom Signs & Graphics today at (336) 252-2032 for your Free Consultation with a Window Graphics Specialist! Everyone loves the new sign!